Stuart Quan owned a long-standing karate studio in North Fresno, teaching students of all ages. 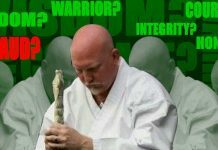 He was a national-ranked forms champion in the early 1980s. His expertise landed him roles in movies and TV shows, such as Lethal Weapon 4, Dragnet and Home Improvement. 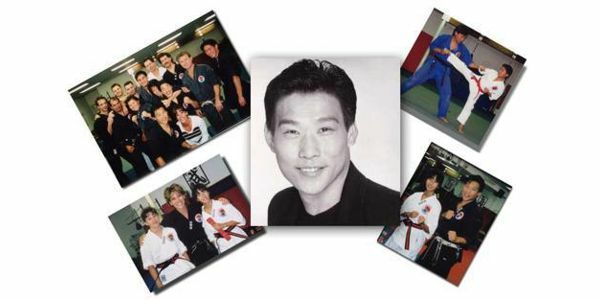 Fresno martial artist and Hollywood actor Stuart Quan died suddenly on January 8, 2006, while returning home from a snowboarding trip to Sierra Summit. Quan, 43, lost consciousness while riding in the back of a car. His friends tried to revive him as paramedics rushed to the scene, but he died. It was determined that he suffered a heart attack. 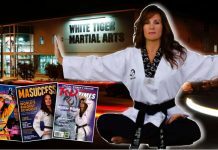 January 13, 2006 – abc30 – Fresno ~ Thousands fill a Valley church on Friday, paying tribute and remembering a Valley martial arts coach who was also a star in Hollywood. He died suddenly over the weekend from a heart attack. Stuart Quan was a martial arts champion that taught hundreds of kids and adults at his North Fresno karate studio. His skills also landed him several movie and television roles. Many people went to say their last goodbye to Stuart Quan, but it will be a long time before any of them forget him — some never will. It is a testament to the kind of life Stuart Quan lived and his lasting impact on so many lives. They came from all over and packed Peoples Church in North Fresno. They were people from all walks of life, people who knew and whose lives had been touched by Stuart Michael Quan. Stuart Quan’s legacy is captured in photographs and movies. 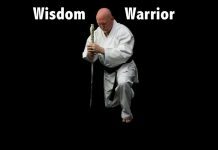 A master at martial arts, he helped countless Valley children and adults understand their true potential. He was an actor with roles in films like Lethal Weapon 4 and Dragnet. Quan’s widow, Debbie, was overcome with grief. But, there was one thing she wanted to do, that she wanted Quan’s friends and students to do. As a simple show of respect, she asked Quan’s students for a bow to show respect to their teacher and mentor. Stuart Quan passed away last Sunday doing something he loved. He was on his way back from snowboarding when he suffered a heart attack. Stuart Quan was 43 years old.